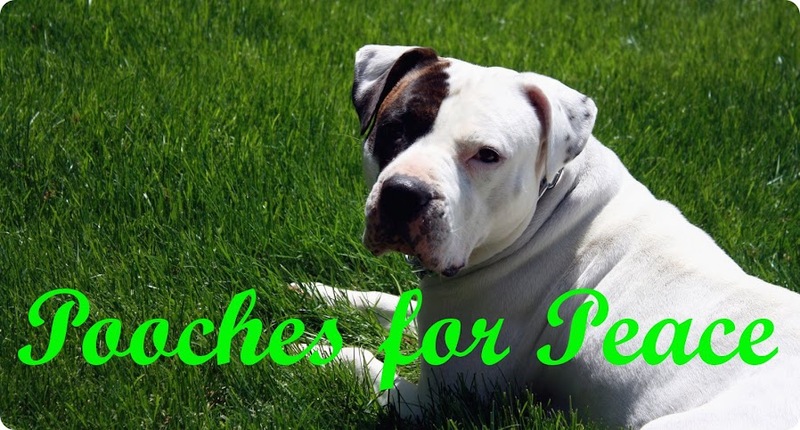 Pooches For Peace: Bad Owner Ban, Anyone? What are you lookin' at? Do my lips look funny? I've been trying to tell everyone how great Pit Bulls are. I think I need some water. Simply trying to outlaw a breed of dog will only cause people to do underground breeding or find another breed to fight. When it comes to Pit Bulls, they are not simply dangerous dogs. They don't have magic jaws that only unlock by their teeth touching, they aren't bullet proof, and they don't have a gene to tell them to hate people. Seriously? Anyone who believes these types of things about these dogs must also believe the terminator exists in the real world. Even during periods of being bred for fighting they had to be bred to be extremely loyal to humans. How else could the owner break up a dog fight without being attacked? They are arguably the most loyal dog one can own. 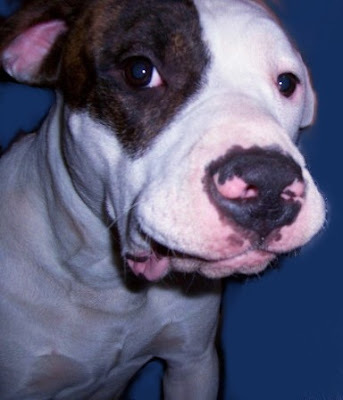 They are no more likely to be aggressive simply because they are Pit Bulls. They are one of the least vicious breeds I have ever had the pleasure of being around! 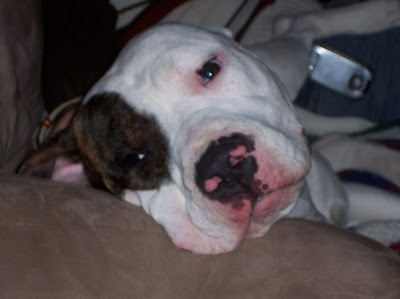 Write our government officials to tell them why breed banning is a bad idea! It's a shame. This topic wears me out! Goodnight!